Mysterious planets, and now cosmic bling; space just keeps on giving. An image snapped by the Hubble Telescope has revealed a dazzling cluster of cosmic jewelry, shining brightly in the Carina Nebula nearly 8,000 light-years away. 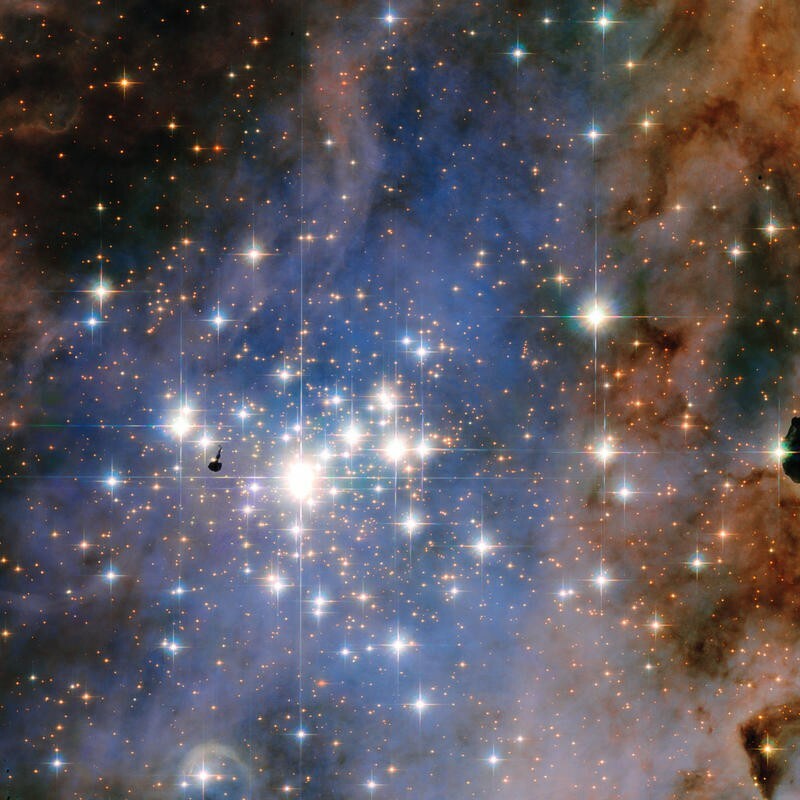 The star cluster, dubbed Trumpler 14, includes some of the brightest concentrations of stars in the Milky Way—one of its stars, HD 93129Aa, is estimated to be 80 times as massive as the sun, and about a half million times brighter. While they look impressive, their stellar beauty won’t last much longer. Scientists say these stars, which are relatively young at 500,000 years old, are burning so brightly that it won’t be long—about 2 million years—before they explode as supernovae. Nothing gold can stay, as they say. Astronomers estimate there exists around 2,000 stars in Trumpler 14, with new ones forming all the time. As these stars form, they fling high-speed particles into space, spewing strong winds. In the process, the cluster’s available hydrogen supplies gets depleted, which will eventually lead to their demise. 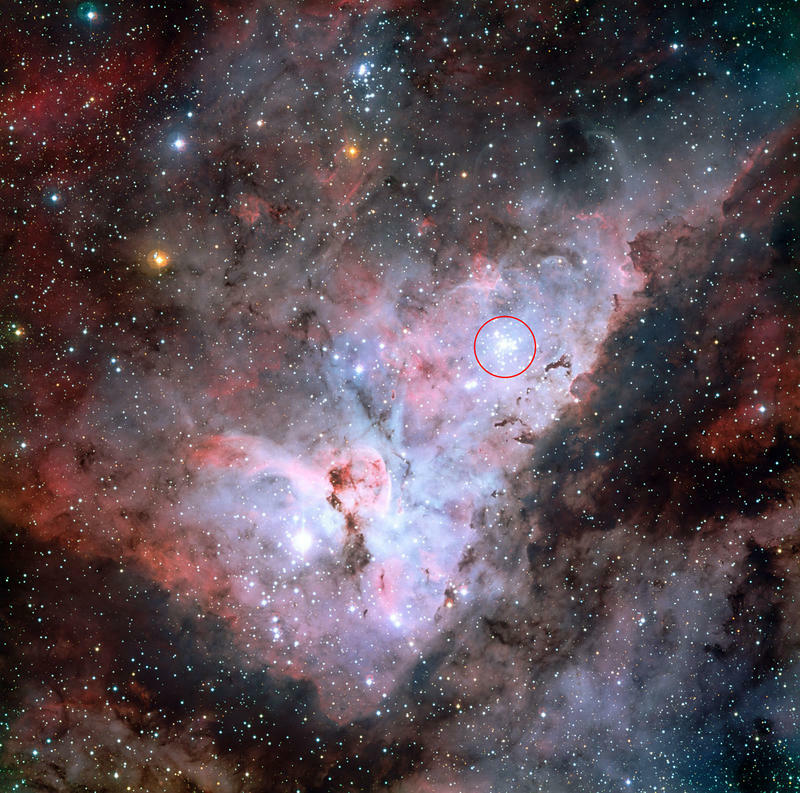 The images above include a zoomed in photo of Trumpler 14, and a picture of Trumpler 14 embedded in Carina Nebula.